Maps, wood, Masonite, steel, iron oxide, laser cut metal, text. Maps of the various neighborhoods where steel was made in Chicago. 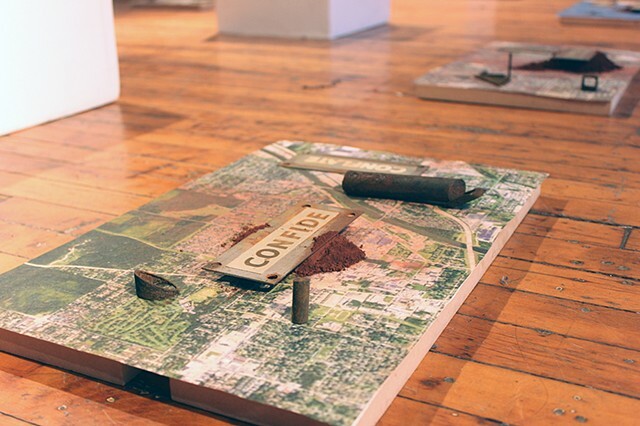 The maps are piled and stained with iron oxide (rust), and found scraps of steel.